Laments over the state of Israel have become increasingly common. Especially in the midst of this summer’s war in Gaza, Israel’s erstwhile sympathizers and supporters have come forward questioning the Jewish state’s viability and morality. Israel, they claim, has lost the pretense of liberal democracy and is careening toward a kind of Jewish ethnocracy, an apartheid state ruling over millions of Arabs between the Mediterranean and the Jordan River. Though this discourse often takes a tone of Jewish ritual atonement, it has ramifications far beyond the Diaspora-Israel relations. A common commitment to liberal democratic principles is a key component of the cultural linkages underpinning the special U.S.-Israel relationship. Israel’s perceived rightward seems to have dire implications for the possibilities of peace as well. Many believe that Prime Minister Benjamin Netanyahu has effectively ruled out the possibility of relinquishing territory to a Palestinian state. But the problem is deeper that leadership. Ugly displays of racism, such as when right-wing Jewish thugs abducted and murdered a sixteen year old Palestinian boy in Jerusalem this July, seem to indict Israeli society as a whole. Liberal Zionism is, in a word, dead. Much of this analysis has the characteristics of self-fulfilling prophesy, both diagnostic and prognostic. The more Israel is decried as irreparably illiberal, the more it discourages efforts to counteract the trend. But while these tracts paint a dire picture of Israel’s future, Brent Sasley points out that they tend to be based on a vague concept of what liberalism and Zionism actually entail and a questionable understanding of their role in Israel’s past and present. Liberalism in the Israeli context cannot be reduced to dovish policies toward the Palestinians. Rather, it must mean a simultaneous commitment to two things: on one hand, negative liberties, the protection of individual rights to religion, expression, privacy, and property guaranteed by the functions of a limited government; on the other hand, the fulfillment of demands for Jewish collective belonging, and self-determination. These commitments are not always harmonious: how can one reconcile commitment to an explicitly Jewish state and still preserve individual rights of non-Jews? Yet, as political philosopher and former Israeli Education Minister Yael Tamir shows, neither are they inherently contradictory and can be mutually complementary. The right to individual expression is closely linked to having a state to provide the basis for cultural cohesion. National self-determination, then, can be the ultimate achievement of individual self-expression. Taking a more empirically-informed perspective, the death of Liberal Zionism has been greatly exaggerated. Examining the impacts of constitutional reform, electoral re-alignment, and shifts in public opinion, liberalism has made significant, and yet seemingly unheralded, advances in recent decades. Still, a pervasive sense of national insecurity undermines these gains. Comparing how the U.S., Great Britain, and Israel responded to terrorist threats, Gabriel Rubin shows how commitments to universalistic notions of negative liberties are often the first things to fall away when open societies feel threatened. People under threat, as Bethany Albertson and Shana Gadarian demonstrate, tend to gravitate toward anti-democratic policy positions that offer the chance of protection. Thus, it is not just that the decline of Liberal Zionism has caused Israel to veer away from political compromise, but, reciprocally, the absence of security has hampered the consolidation of liberalism within Israel. According to polling data from the non-partisan Israel Democracy Institute, Israelis for the most part see no inherent contradiction between Israel’s democracy and it Jewishness. In 2010, IDI began to ask Israel Jews whether the prioritized Israel’s Jewish of democratic characteristics (Question 4). By 2013, though, a significantly larger portion prioritized democracy over Jewish-ness. The engagement with democracy is mirrored in Israel’s political institutions and the eruption of what some call Israel’s “constitutional revolution.” Though Israel’s Declaration of Independence espoused equality of social and political rights, including freedom of religion, conscience, language, education, and culture, David Ben Gurion’s Labor Zionist camp did not wish to impose constitutional limitations that would prevent an elected government form carrying-out the people’s will or stymie state-building. Israel’s first decades were democratic but hardly liberal. The state assumed the commanding heights of the economy. Matters of personal status (marriage, divorce, etc.) were ceded to the country’s Jewish, Christian, and Muslim religious establishments. Most importantly, though Arab residents were immediately granted citizenship within the Jewish state, they held a distinctly second class status and lived under martial law until 1966. The fundamental values of Judaism… are our basic values. I am referring to the values of love of humanity, sanctity of life, social justice, doing what is good and just, protecting human dignity, the rule of the law-maker, and other such eternal values. The reference to these values is on a universal level of abstraction. The state is democratic, by recognizing institutions and organs built upon majority rule, by providing full equality among all its citizens and by its recognition of basic human and civil rights. Still, while the HCJ focused human rights and personal status law, much like its American counterpart, it demurred on matters of national security. For example, in 2004 and 2005 the HCJ ordered the government to re-route portions of the Separation Barrier through the West Bank that caused undue harm to Palestinian residents, but rejected arguments that the barrier itself was illegal because it stood beyond Israel’s internationally-recognized pre-1967 territorial boundaries. 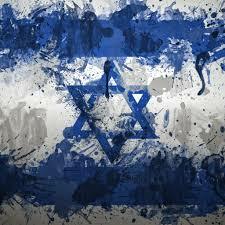 Defense, it ruled, should be left to Israel’s elected government. How can the emergence of liberalism be squared with the succession of two right-of-center governments and three wars over the last five years? In an infamously volatile parliamentary system, Netanyahu’s Likud-led coalition has proven remarkably stable. But, as David Bernstein intervenes, overall Israel’s political consensus has become remarkably centrist over the last three decades. Israel has unilaterally withdrawn from southern Lebanon and Gaza. It has collaborated, albeit inconsistently and half-heartedly, in transforming the Palestinian Authority into an effective quasi-state that partners with Israel’s counter-terrorism operations in the West Bank. In 1988, fifty two of the 120 seats in the Knesset were held by parties absolutely opposed to a Palestinian state or giving up any of the West Bank or Gaza. Today, even if we assume that half of Likud and all Jewish Home party MKs, the core of Netanyahu’s coalition, opposed any further territorial compromise in the future, that number would be only total twenty seven. The centrist parties, Yesh Atid, Hatnuah, and the rump of Kadima, collectively hold the parliamentary balance with twenty seven seats. The inability of these centrists to effectively check Netanyahu reflects less a right-ward turn of Israel’s political consciousness than the functioning of a fragmented parliamentary system. If Israeli politics is in fact depolarizing, the move to the center has been initiated from the right. It was Ariel Sharon who broke away from Likud to form the once formidable Kadima during his push for the unilateral withdrawal from Gaza. Meanwhile, left-wing stalwarts Labor and Meretz plummeted to just twenty one seats in 2013 from a high of fifty six in 1992. Today, parties on Netanyahu’s right flanks are at least considering re-occupying Gaza and the West Bank. At the same time, though, post-conflict polling indicates that the majority in Netanyahu’s Likud and over three quarters of centrist voters favor re-engaging in negotiations with the Palestinians. In a centrism defined by the dilemmas of national security, notions of democracy are not as thick as those Justice Barak espoused (Question 25). In the 2013 IDI poll, only thirty five percent of the population (virtually equal among Jews and Arabs) believed that equality before the law, minority rights, and freedom of expressions should take precedence over parliamentary legislation. The plurality of both Jews and Arabs believed that any decision of the elected parliament was inherently democratic. In matters of security (Question 7), Israeli Jews rejected even from this simple majoritarian democracy, with two thirds believing that decisions about territorial withdrawal should require approval by a unique Jewish majority. Moreover, the recent polling also shows a persistent militarism at odds with liberal of freedom of expression and dissent. IDI’s monthly Peace Index poll from August showed that fifty six percent of Israelis believe it necessary to limit the right to criticize military operations (above and beyond protecting military secrets). The outcome, as Etgar Keret, one of Israel’s leading writers, described, is a significant narrowing of the bounds of legitimate discourse. Whether this is a temporary artifact of wartime or a long term trend is unclear. Coupled with evidence of virulent anti-Arab racism, especially among Israeli youth, liberalism ascent is hardly unassailable. Like any jeremiad, the death of Liberal Zionism has an air of inevitability. Yet, as Robert Merton observed, self-fulfilling prophecies only come true “in the absence of deliberate institutional controls.” Such institutional controls do exist in Israel: in the constitution, in the courts, in the parliament, and, most importantly, in the opinions of the electorate itself. All Israelis, including Arabs, today enjoy greater protections of individual rights than they ever had before. Still, fear renders Liberal Zionism fragile and this fragility intersects with the crucial question of peace. Israelis, just like Americans, have no wish to embrace a liberalism that seems a suicide pact. Israel’s peace camp did not die a natural death, but rather a slow hemorrhage, disappointed in the lack of Israeli leadership and disillusioned in the apparent unwillingness of Palestinian leadership to engage in meaningful negotiations. According to Peter Beinart, among the leading voices in the elegy of Zionism’s illiberal fate, Israel has failed to respond constructively to the Palestinians’ non-violent overtures for compromise. But the causation moves the other way as well. In the midst of rocket attacks, it is easy—and even logical—to suspend commitments to negative liberties in favor of communal solidarity. Without security, Liberal Zionism will always be tenuous. 1) ‘Restive Arab population’ – please read Edward Said and think about the language you are using.